The reward for the safe return of a missing Brooklyn woman has reached $260,000. 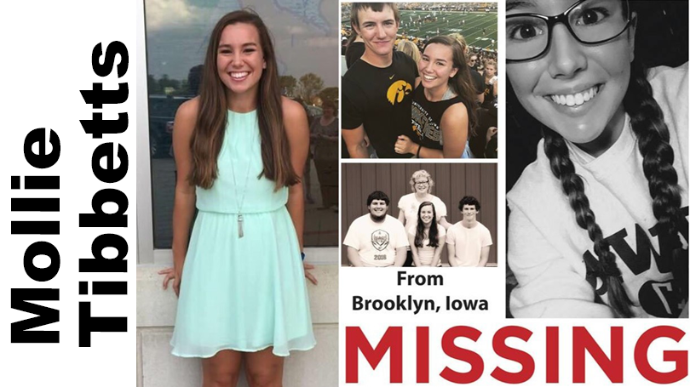 Crime Stoppers of Central lowa says relatives of 20-year-old Mollie Tibbetts believe she’s alive but has potentially been kidnapped. Tibbetts went missing on July 18 from her hometown of Brooklyn. Meanwhile, law enforcement in southeast lowa say a woman’s body found in Lee County is not that of Mollie Tibbets. A body of a white woman in her early to mid-20s was found over the weekend in Lee County.